I got a flower pot at the craft store, they were on sale for $1.50 or so. But I’ve seen great stuff at the dollar store or you can use whatever container you can find. Just remember it has to hold a lot of weight. Also you’ll need a dowel. I got mine at home depot. 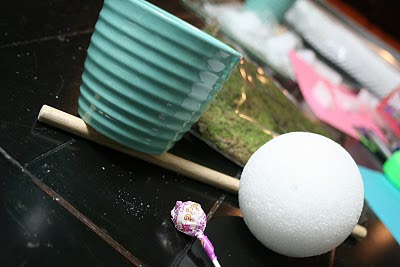 Make sure it is thick enough so it can support the weight of the lolly pops, because it’s actually heavier than you think. You’ll need styrafoam. A ball for the top and a square/rectangle piece to support the bottom. Don’t forget the lolly pops! I got a box of 144 dumdums and it fit on one perfectly. To cover the dowel I used a scrap piece of fabric. You could paint it too. 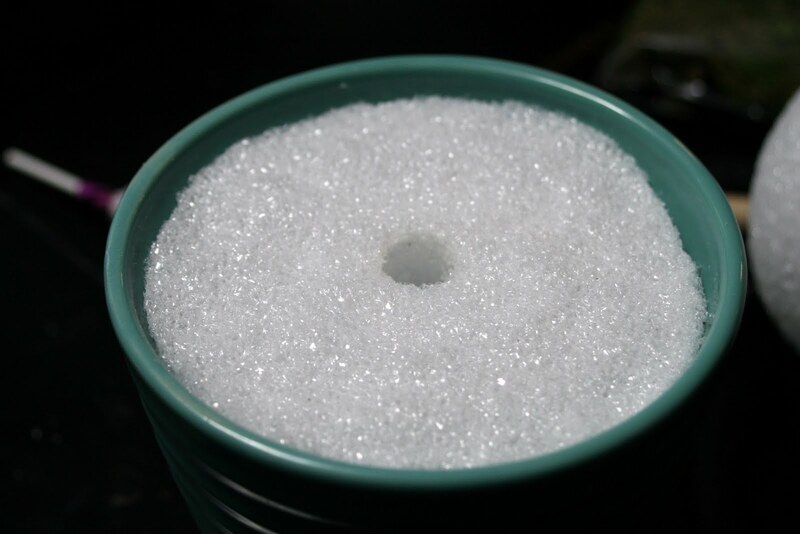 Take the styrafoam piece and use a knife to shape it to fit inside the pot. You probably don’t have to have an exact fit but the tighter it is, the better it will support the weight. Take the dowel (cut to whatever height you’d like the tree to be) and wrap your scrap strip of fabric around it making sure you glue the ends. Put the dowel in the pot and on the other end attach the styrafoam ball. Now go crazy putting on all those lolly pops! Mmmmm! This is sure to be a POPular for people of all ages! 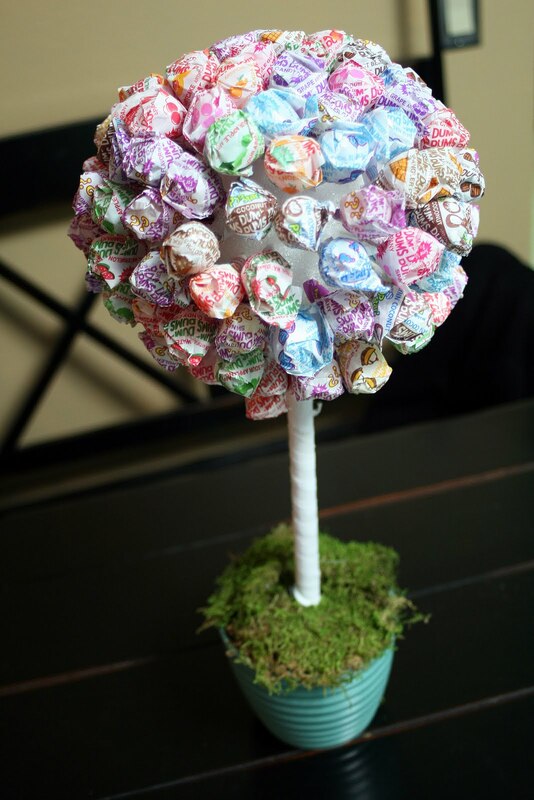 I really like your lollipop tree! the whole 'just about to pop' theme was fun too – great job – I bet your friend loved it! I love all of your creations!